It is the final of the Europa League and today we have the two strongest teams playing against each other at the Friends Arena in Stockholm. 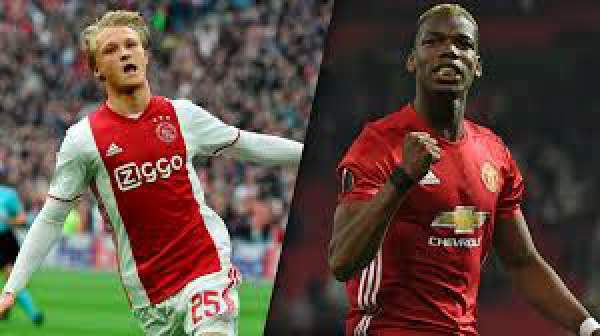 AFC Ajax takes on Manchester United in one of their most important games of the season as it is for the English as well. Both teams will try to win the game so as to take the trophy home. 25th May 2017 at 00:15 (IST). AFC Ajax finished second in the Eredivisie, just one point below the leaders Feyenoord. They played 34 games in the league, winning 25, drawing six and losing three making 81 points in total. They had scored 79 goals and conceded just 23 goals and had the best defense in the league along with PSV. Kasper Dolberg had 16 goals to his name in the league and was top scorer with Davy Klaassen scoring 14 goals as well. Ajax striker Amin Younes has completed more dribbles in the Europa league this season (73). Ajax has a very young and promising squad who are not afraid to take on the experienced sides. They played the youngest side in the Eredivisie history with an average age of 20 years and 139 days in their final game. The match will have a minute’s silence following the suicide bombing in Manchester which killed 22 people and also Manchester United will be wearing black armbands. Manchester United finished sixth on the table in the English premier league, something they would not have thought with players like Pogba, Mkhitaryan, Ibrahimovic and Wayne Rooney. They still have won the EFL Cup this season but Europa league would be their best trophy this season. They have entered the Europa league final for the first time and this is the only trophy that they do not have in Europe. Manchester United will be missing the star player and the local hero Zlatan Ibrahimovic as he is out for the season. They featured their youngest side in their premier league’s last game against Crystal Palace and won the game by 2-0. Both teams are in it for the win and will try their best.